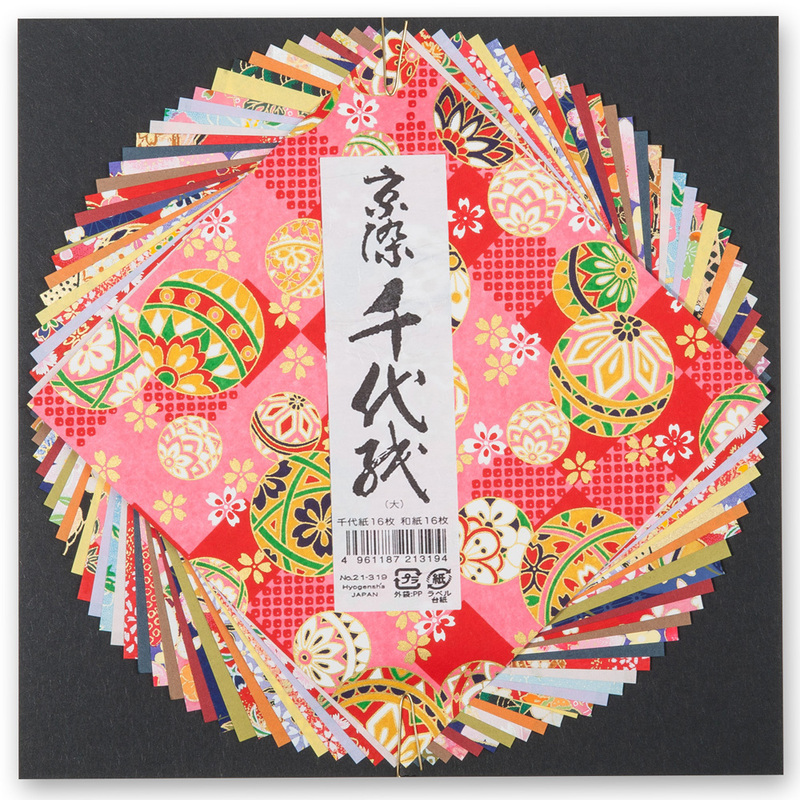 Made in Japan, this pack of Large Washi Japanese Origami Paper contains approximately 32 square sheets (16 x patterned and 16 x plain) of beautiful Japanese washi origami paper. Washi comes from wa meaning Japanese and shi meaning paper, and the term is used to describe a very soft long fibre high quality paper made by hand in the traditional manner which makes it ideal for origami. 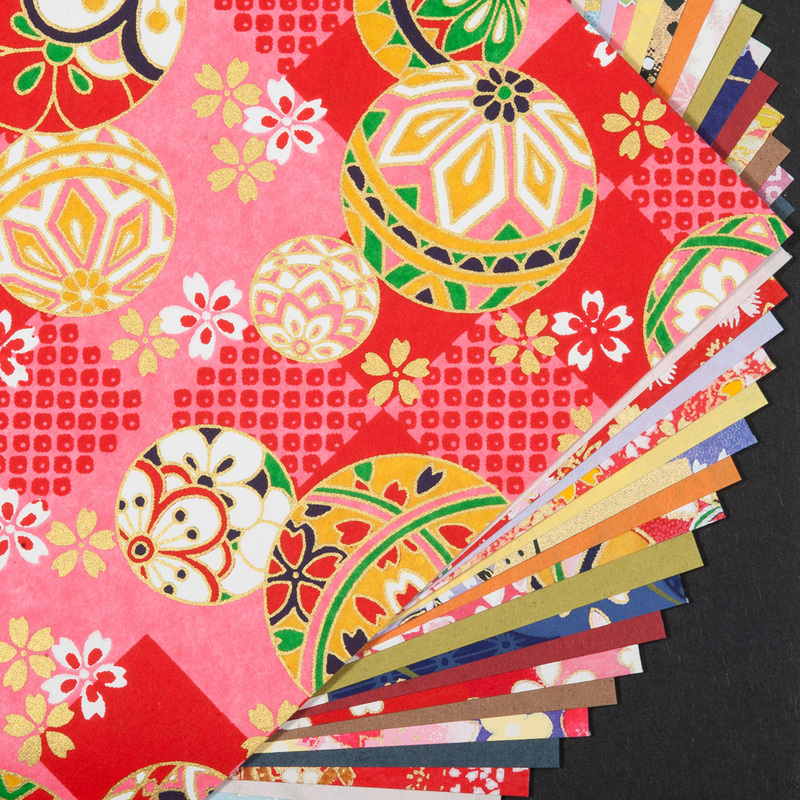 We think the Large Washi Japanese Origami Paper is ideal for both beginners and advanced origami enthusiasts alike! Buy your Large Washi Japanese Origami Paper online and have it gift wrapped free of charge, or visit us at our showroom for this and much more authentic Japanese origami paper! Hi Hiromi, I recently bought several packs of washi origami paper to make place holders for my wedding and the paper is so beautiful I almost didn’t want to use it. The paper is excellent quality and designs are beautifully delicate. I will certainly buy from you again. Dear Hiromi, I wanted to let you know how delighted I was with my recent and first order (including Large Washi Japanese Origami Paper) from yourselves at the Japanese Shop. Fantastic quality and the extra touch of the gift wrapping was beautiful. I definitely will be returning in future for more. Thank you once again. With very kind regards. Hi Jez, the origami paper arrived today and it looks really beautiful! Thanks again for all of your help! :D I got all my stuffs delivered to my flat very fast! ^O^ just in 2 days, and everything just seems AMAZING! Just received my Japanese paper - its beautiful - be back soon and thankyou. Thank you again for my recent order, it was packaged beautifully yet again, and arrived very quickly. The quality of the products are (as always!) excellent. I've made some lovely items with your washi paper, so I will send you some pictures soon! Domo arigato!